The Husky Butzi snow chains set is easy to install, thanks to its self-locking ratchet system. You hook the rear side of chain together, guide the tension chain through the hooks and secure it with the rubber clamping hook. Then drive approx. 100 meters and retension the chain. Car Parts Expert supplies snow chains in different price categories and qualities. For more information click here. Not suitable for high power vehicles, heavy vehicles and SUVs. For these cars we recommend the Weissenfels Clack & Go SUV-RTS. 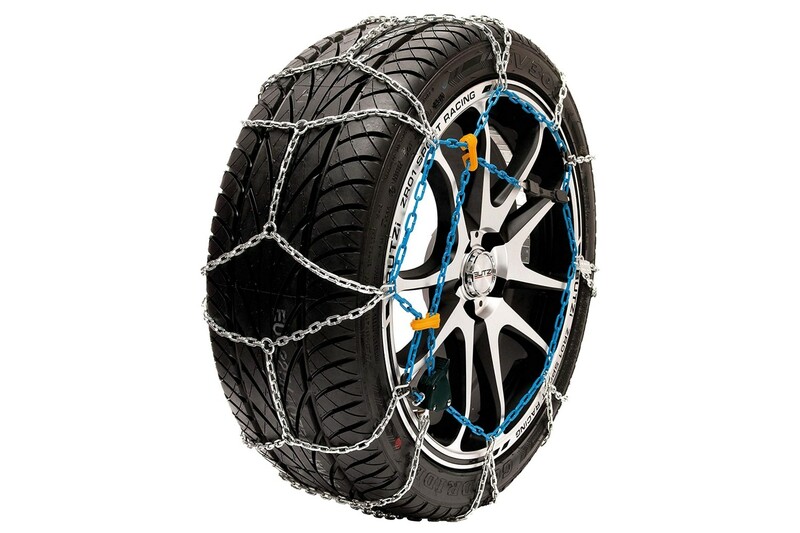 Some car models may suffer from insufficient space between tyre and the wheel casing for mounting a snow chain. If in doubt, please consult your dealer.